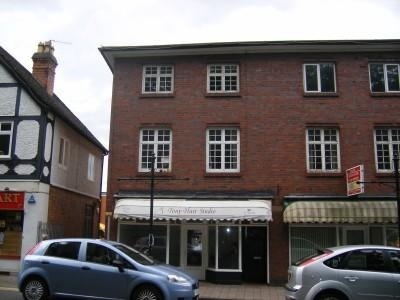 A Recently Renovated Two bedroom apartment located in the Town Center of Droitwich Spa. This property is in the perfect location with all the local amenities close by such as; shops, restaurants and great travel links with the railway station. Open Plan Kitchen/Living Area with a Spacious Living Room and a Modern Fitted Kitchen with stylish units and Electric Oven/Hob. Built in Storage is also included. The Good Sized Double Bedroom has plenty off space for a Double bed and Storage. The Single Bedroom could also be used for an Office Space. The Fitted Bathroom has a newly fitted suite with a shower over bath. This property has newly fitted carpets and flooring and also benefits from electric heating and full Double Glazing.